Newcomer Family Obituaries - Pamela L. Dain 1960 - 2018 - Newcomer Cremations, Funerals & Receptions. On November 30, 2018, the Angels took Pamela Lee Dain (Fatheree) "Estes" home at the age of 58. She was preceded in death by father, Donald L. Fatheree; mother, Annabelle L. Fatheree; brother, Mark Fatheree. 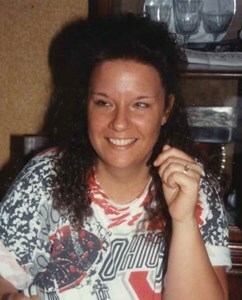 Pamela is survived by children, Mindy L. (Justin) Cromer, John E. Dain Jr., Tiffany A. Dain; brothers, Donald L. (Kandi) Fatheree Jr., David S. (Christine) Fatheree; sister in-law, Lisa Fatheree; grandchildren, Xavier G. Lutz, Draven A. Saffles, and Dantae A. Saffles; former spouses, Robert Estes and John Dain Sr.; special lifelong friend, Beth Ann Matheny; and many nieces, nephews and friends. Pamela was born in Akron, raised in Green, and graduated in 1979. She was an accomplished bowler, talented softball player, gifted vocalist, and a sharp euchre player. Family will receive friends on Saturday December 8, 2018 from 1-4pm and funeral service will be held on Sunday December 9, 2018 at 2pm, both at Newcomer Funeral Home, 131 N. Canton Rd. Akron, OH 44305. Pastor Mike Hirschfelt officiating. Add your memories to the guest book of Pamela Dain. I am so saden regarding the news of Pam. Pam and I played softball together many years ago with my dad being the coach. Pam played short stop and was the best around. My dad is 84 years old with Alzheimer’s and doesn’t remember too many things but he does remember coaching us girls and winning championship. I remember Pam so well and her sweet family! My heart goes out to all of you. I went to school with Pam and Dave. We rode the same bus. We used to sit together. Pam was super sweet and I am so sorry to hear this news. Dave and Don my sincere sympathy. Thinking of you all and lifting you up in prayer at this very difficult time. This is one of the hardest things that I've ever had to endure. I can't wrap my head around the fact that mom is gone so soon. She was so young. The outpouring of support from friends and strangers alike has been staggering and uplifting. Thank you to everyone for all the love. I don’t know where to begin. She was a big part of my childhood. The parts you don’t ever forget. We shared many laughs, and a whole lot of time on a ball field. Great athlete! My friend. Love you Pam. Big squeezes David! I’m so sorry for your losses honey!! I hope you find the peace and comfort you need!! Hugs old friend!